Learning Analytics in Higher Education provides a foundational understanding of how learning analytics is defined, what barriers and opportunities exist, and how it can be used to improve practice, including strategic planning, course development, teaching pedagogy, and student assessment. Well-known contributors provide empirical, theoretical, and practical perspectives on the current use and future potential of learning analytics for student learning and data-driven decision-making, ways to effectively evaluate and research learning analytics, integration of learning analytics into practice, organizational barriers and opportunities for harnessing Big Data to create and support use of these tools, and ethical considerations related to privacy and consent. 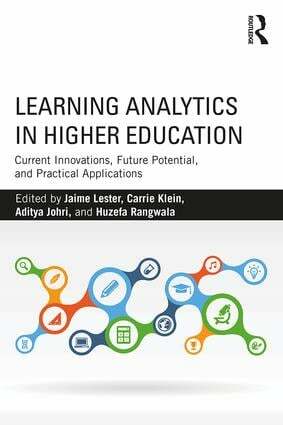 Designed to give readers a practical and theoretical foundation in learning analytics and how data can support student success in higher education, this book is a valuable resource for scholars and administrators. The Devil in the Details?